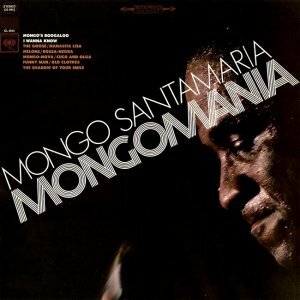 Mongomania maintains a solid, upbeat jazz groove, with several interesting departures from his usual approach (such as the percussion on the album's two bossa novas). Whereas his previous Columbia albums may have had only one or two great tracks amid gratuitous covers of pop tunes, this one is at least half good. Although the band finally seems to be shaking the yoke of needing a hit single to follow "Watermelon Man," "I Wanna Know" (not to be confused with Francisco Aguabella's later masterpiece) may fit the bill nicely. Songs such as "Funny Man" are solidly in Mongo's Columbia vein. This Mongo material may not be worthy of mania, but it does provide a solid foundation for live performances, and is always great for blasting out the windows on a sunny day.